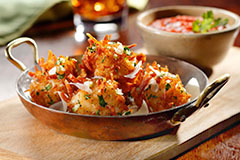 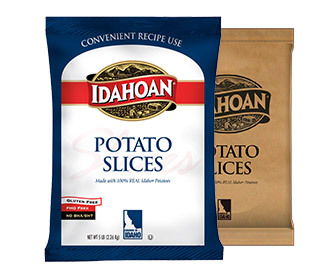 All the potato pancake tradition with new added convenience. 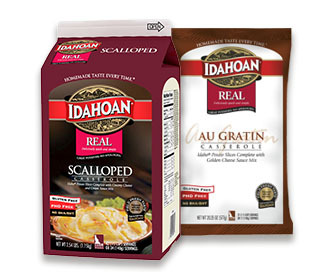 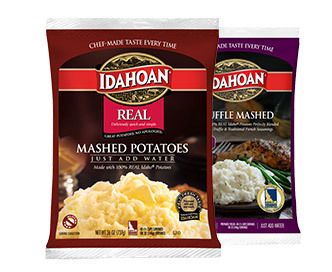 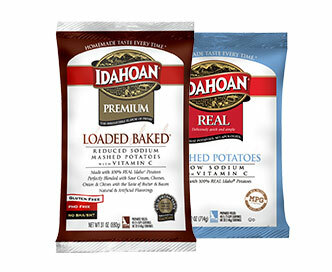 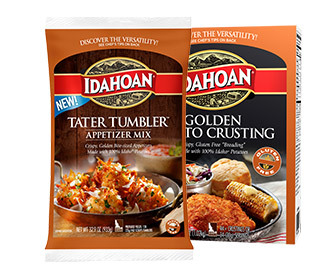 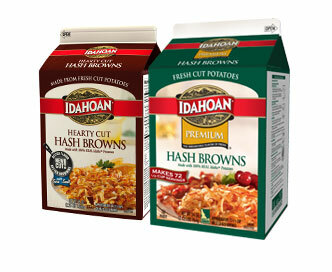 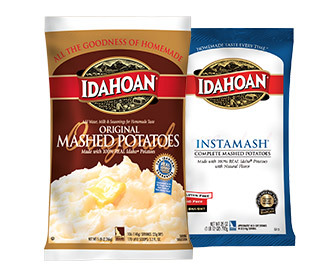 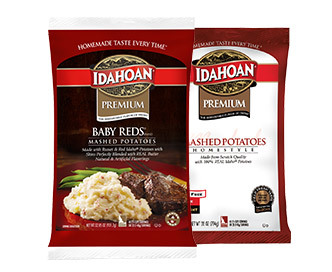 Mix together prepared Idahoan® Fresh Cut Hash Brown Potatoes with onions, eggs, and Idahoan REAL® Mashed Potatoes in large bowl. 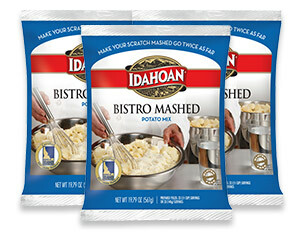 Place ½ cup of mix onto a 350°F-400°F well-oiled griddle. 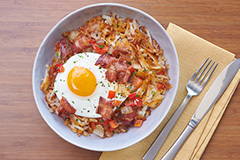 Flatten to about ½" thick and cook until golden brown on both sides, about 4-5 minutes on each side. 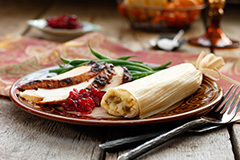 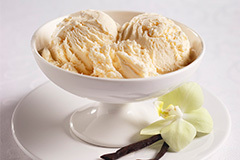 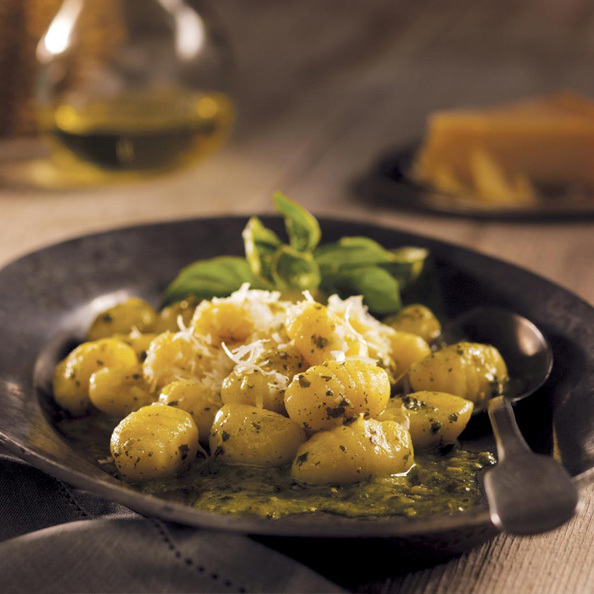 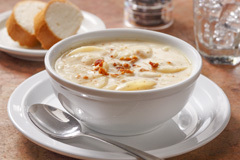 Serve with sour cream, applesauce and chopped chives.